You are here: Home / Healthy and Happy / Cat Lovers: Come to CatChat on October 15! Cat Lovers: Come to CatChat on October 15! Sparkle Cat Rescue is hosting the first of what they hope will be a yearly CatChat Workshop to provide helpful tips and resources for community (stray/feral) and owned cats. Mark your calendars for Saturday, October 15, from 1 – 3 pm at Burlington City Park’s Homebuilder’s Building. Our own Dr. Sharon King will be speaking and answering questions on topics regarding the general health of personally owned, feline pets. Catherine O’Donnell of Sparkle Cat Rescue will provide demonstrations on how to set traps and advice on Trap-Neuter-Return. She’ll be giving one on one demonstrations at the end of the event. Kathy Hawkins of Sparkle Cat Rescue will demonstrate how to bottle, syringe, and tube feed orphaned kittens or kittens whose mom will not nurse them. 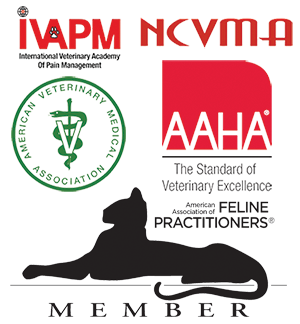 Renee Bartis, certified feline master groomer will be one of our presenters on the health benefits of feline grooming. Burlington Animal Services director, Jess Arias will be present to speak about the new shelter project. Other rescue organizations are being invited to have their information on site for the public to take home with them and learn about their programs. We were from out of town, and the staff there made us and Ollie feel at home. We were not scared to leave Ollie for the day. You were super friendly and very clean. Thank you. Don D.